AVLT-Power's Portable Foldable Adjustable Aluminum Stand For CellPhones & Tablets are perfect for that extra boost when watching videos on cellphones or tablets. COMPATIBILITY: Works with any 4 to 12 inch smartphones and tablets. 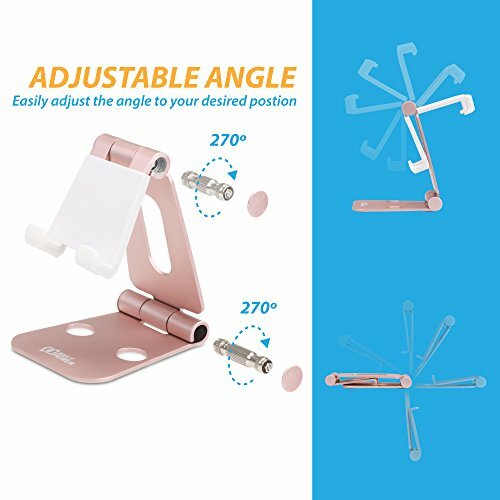 ADJUSTABLE: Adjust the angle on the stand without using any tools. 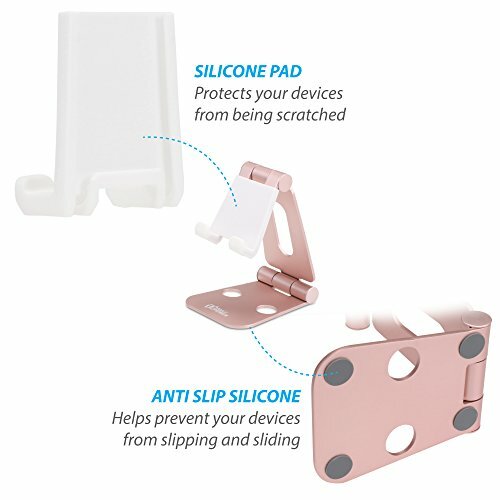 SCRATCH RESISTANT: Anti-slip silicone pad helps prevent your device from getting scratch or from sliding. 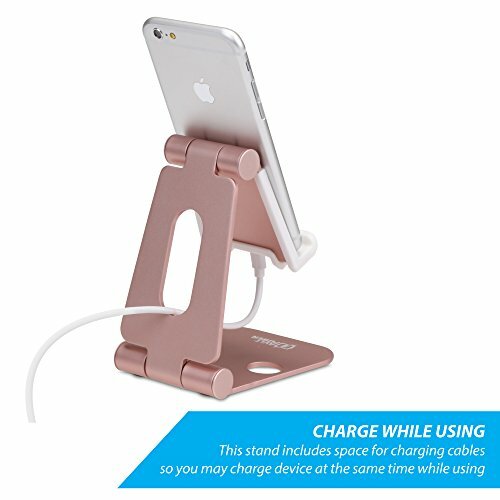 CHARGE WHILE USING: This stand includes space for charging cables so you may charge device at the same time while using. 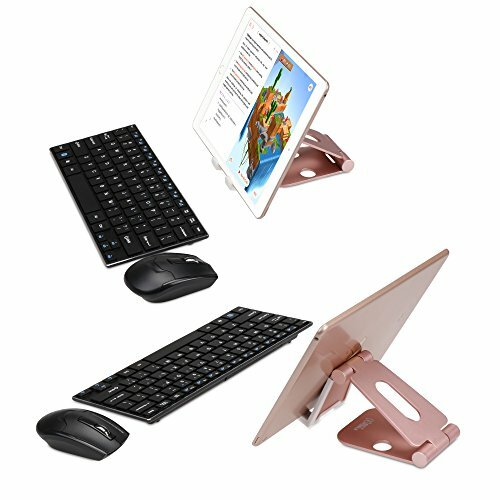 ✔ FULLY FOLDABLE & MULTI-ANGLE: AVLT-Power aluminum tablet phone stand can be easily adjusted to the desired viewing angle, rotate up to 270 degrees; Ergonomic design helps prevent looking down at your device for a comfortable sitting gesture and visual angle. 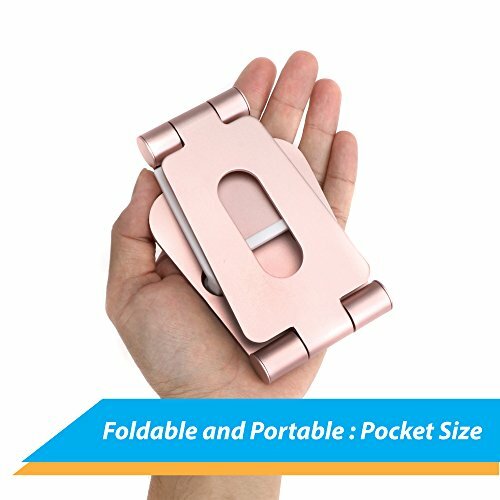 This portable phone/tablet stand can be fully folded to pocket-size making it easy to bring on the go. 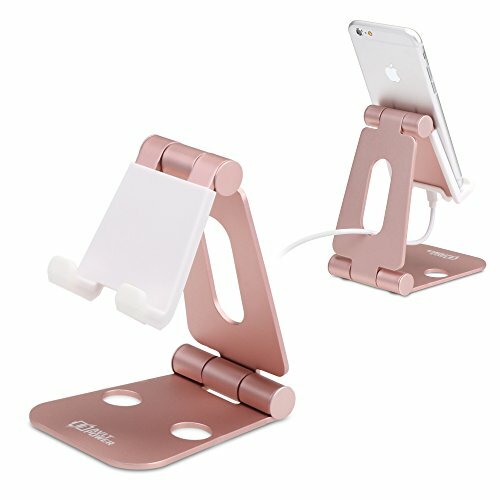 ✔ UNIVERSAL COMPATIBILITY: This aluminum tablet phone stand is compatible with 4 to 12 Inches devices like Nintendo Switch, iPhone 6 6S 7/7 Plus, Samsung Galaxy S8/S7/S6/Note6, LG, Sony, Google Nexus, iPad mini/pro/Air/Air 2, Samsung Tab , Kindle, even with protective case. ✔ PREMIUM QUALITY & ANTI-SLIP SILICONE PAD: Built with sturdy and solid aluminum. Its premium quality anti-slip silicon pad and feet help prevent your devices from slipping and sliding. It will keep your device in place while in use and protects your device from being scratched. ✔ SLEEK DESIGN: Modern design makes it a great fit for any home and office. 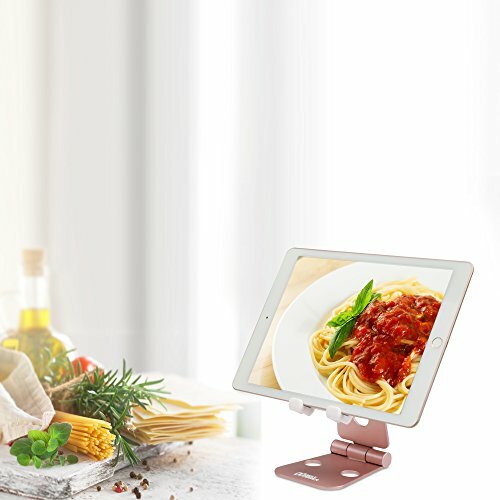 Can be used in many ways: video call a friend, watch tutorials while you cook or exercise, attach a keyboard to your ipad or tablet to use as a mini laptop, or even record videos. This stand provides enough space for a charging cable so you may charge and use at the same time. ✔ WARRANTY: Our products are backed with a ONE YEAR limited warranty and California based customer support team. If you are not 100% satisfied with your purchase, please do not hesitate to contact us. If you have any questions about this product by AVLT-Power, contact us by completing and submitting the form below. If you are looking for a specif part number, please include it with your message.